When describing Clint Bowyer, driver of the No. 14 Ford Fusion for Stewart-Haas Racing (SHR) in the Monster Energy NASCAR Cup Series, the term “unfiltered” is often used. He is a gregarious character who is quick with a laugh and provides soundbites that generate even more laughs. But come June 30-July 1 at Chicagoland Speedway in Joliet, Illinois, Bowyer will wear a filter. 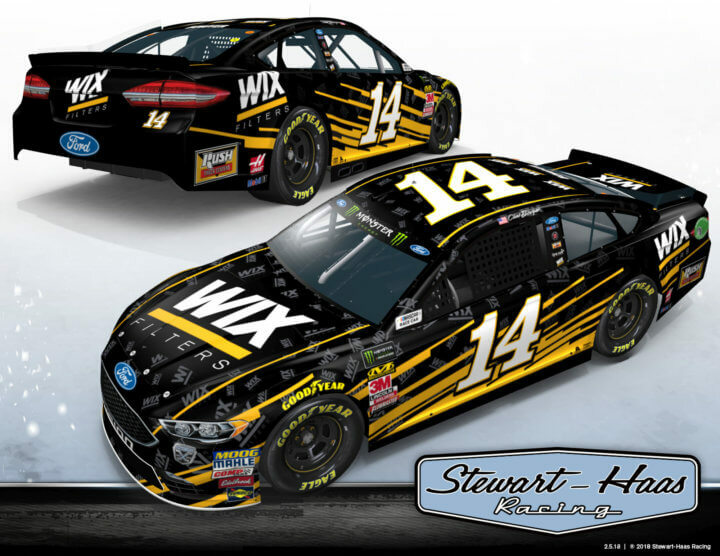 WIX® Filters, a global manufacturer of filtration products with more than 50 years of motorsports experience, will serve as the primary sponsor of Bowyer and his race-winning No. 14 Ford Fusion throughout the Chicagoland race weekend, with WIX Filters emblazoned on Bowyer’s car and firesuit. “My wife, Lorra, sometimes wishes I wore a filter more often. WIX Filters finally granted her wish,” joked Bowyer with his trademark laugh. Bowyer is the most recent SHR driver to deliver a win for WIX Filters. 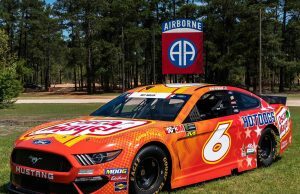 The 13-year NASCAR Cup Series veteran from Emporia, Kansas, scored his ninth career victory and his first with SHR when he won March 26 at Martinsville (Va.) Speedway. The victory was SHR’s fourth this year, the most of all NASCAR teams. 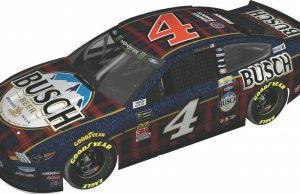 The 2018 season marks SHR’s 10th anniversary, with the organization having won two NASCAR Cup Series titles (2011 and 2014) and 47 races since debuting in 2009. Bowyer has made 12 career NASCAR Cup Series starts at Chicagoland, with a best finish of fourth in 2010. 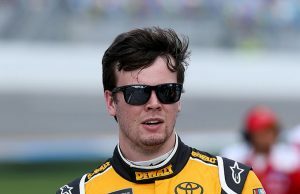 He is currently sixth in the championship point standings with two top-five and four top-10 finishes. His Martinsville victory punched his playoff ticket, making Bowyer championship eligible for the sixth time in his career. Since 1967, generations of motorsports champions have driven to victory with WIX Filters. Today, the racetrack continues to serve as a grueling test ground. WIX Filters engineers work side-by-side with its teams, applying their research in the ultra-competitive world of auto racing to the everyday demands of light- and heavy-duty consumer and commercial usage. Whether it’s in the field, over the road or on the track, WIX Filters’ innovative technologies help vehicles run smoothly and efficiently. With a proud tradition of growth and innovation and an unrivaled commitment to quality for nearly eight decades, WIX Filters remains a recognized leader in aftermarket and original equipment filter design.